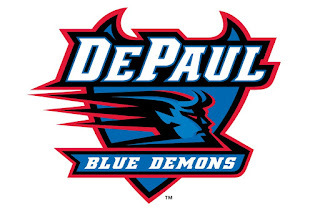 Two people were robbed near DePaul University’s Lincoln Park campus Saturday afternoon. They are at least the sixth and seventh persons to be mugged on or near the school’s grounds since Oct. 16th, according to Chicago police and university records. DePaul’s Public Safety Office said Saturday that a male student was mugged around 3:30 p.m. in the 800 block of West Fullerton. The student was walking westbound when he was approached by three men who demanded his property, according to Chicago police. The offenders took the man’s phone and other property before running away in an unknown direction. The offenders were described as three black men: one wearing a black hoodie with black pants, another wearing a blue hoodie with black pants, and a third for whom no further description was available. At about the same time, another man was robbed by the same group at about the same location. The man told police that four offenders came out of an alley, threatened to use a gun, and robbed him of his phone around 3:45 p.m.
• Nov. 1st — At 11:45 p.m., a 19-year-old DePaul University student was robbed as he walked in the 900 block of West Belden on the school’s Lincoln Park campus. The victim reported that three black male teens confronted him and demanded his money at gunpoint. The three took about $100 cash and then ran away northbound, the victim said. DePaul Public Safety reported that the robbery took place near the entrance of the school’s Cortelyou Commons building in the 2300 block of North Fremont Street. • Oct. 24th — A man reportedly tried to rob and sexually abuse a series of men and women in the 800- and 900 blocks of West Fullerton, according to DePaul Public Safety and Chicago Police. • Oct. 20th — Around 1:15 a.m., a man was robbed of his cell phone near the school's art gallery at 935 West Fullerton. The victim said a group of offenders took his cellphone and escaped via the Fullerton Red Line, DePaul officials said. • Oct. 16th — A DePaul student was robbed as she walked eastbound in the 900 block of West Belden around 1:20 p.m. The victim was confronted by two offenders who were walking in the opposite direction, the school said. One of the offenders grabbed the woman’s cell phone and the two robbers fled in different directions. The school did not provide descriptions of the offenders. The robbery took place across the street from the DePaul University Student Center.